Premier Mark McGowan has congratulated the Chevron-operated Wheatstone Project as it begins producing liquefied natural gas (LNG). Wheatstone has been under construction in the Ashburton North Strategic Industrial Area, near Onslow, since December 2011. One of Australia’s largest resource projects, at full capacity the US$34 billion project’s two LNG processing trains will supply 8.9 million tonnes of LNG per year, plus 200 terajoules per day for a domestic gas plant. The joint venture participants have also committed more than A$250 million to critical and social infrastructure in Onslow, including a new hospital, airport, power and water service upgrades, a new shire administration centre, swimming pool, housing, and road improvements. Eighty percent of the Wheatstone Project’s foundation capacity is fed with natural gas from the Wheatstone and Iago fields, which are operated by Chevron Australia in joint venture with Australian subsidiaries of Kuwait Foreign Petroleum Exploration Company (KUFPEC) and Kyushu Electric Power Company, together with PE Wheatstone Pty Ltd (part owned by JERA). The remaining 20 percent of gas will be supplied from the Julimar and Brunello fields. 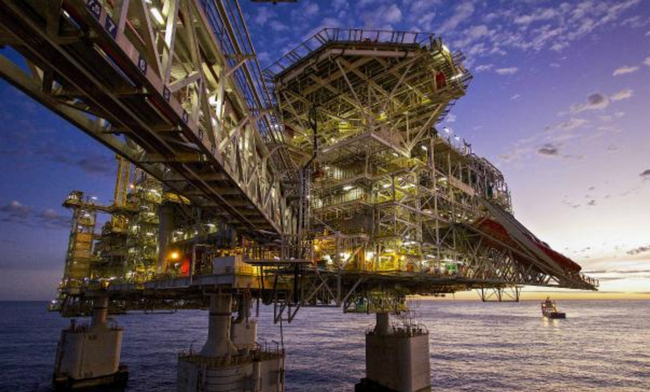 Around 85 percent of Chevron’s equity LNG from the Wheatstone Project has been committed to premier LNG buyers. Shipment of the first LNG cargo is expected in the coming weeks.